Isagenix isn’t a calorie-counting diet. It’s a lifestyle. It’s a detoxification and nutritional cleansing program designed to boost your energy, health, and slow the signs of aging. Weight loss is merely one of its many positive side effects. The truth is there are a lot of positive side effects of cleansing your body and undergoing a complete detox. 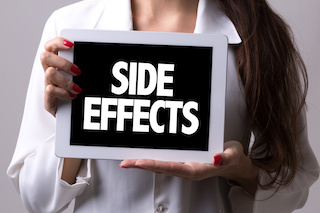 However, there are some other side effects as well, which are perfectly normal when making a substantial change to your personal habits.Fortunately, these side effects are completely predictable and manageable. In fact, most only occur during the initial stages and pass quickly once your body begins adjusting to life without them. They’re simply a part of the process and a minor temporary sacrifice when improving your health and quality of life. Isagenix has thousands of happy and healthy customers from all across the world, and the benefits of their nutritional cleansing products far outweigh the negative side effects experienced during the program’s initial stages. This is why people around the world and from all walks of life continue to turn to Isagenix for their weight loss and healthy lifestyle needs. The natural ingredients in Isagenix products and the safe, powerful results they produce have made Isagenix one of the worlds’ most sought after weight loss solutions. By cleansing the body and ridding it of toxins and impurities, it becomes more receptive to the bevy of benefits associated with exercise and healthy dietary changes. As a result, almost all Isagenix users experience substantial and sustainable weight loss results. Through their ability to help remove toxins from your nervous system and minimize your dependence on caffeine, sugar, and other substances, Isagenix products naturally increase energy levels and are much more effective than diet pills and energy drinks. In fact, the consistent energy boost provided by Isagenix is one of the benefits most talked about by the brand’s growing army of satisfied customers. If you want to reduce your caffeine dependency and experience more energy than ever before, begin cleansing with Isagenix today! Often imitated but never duplicated, Isagenix products have been painstakingly created by top nutritionists and scientists to combat telomere shortening, cellular deterioration, and other genetic developments. In other words, Isagenix can help you turn back the hands of time and significantly slow down the signs and symptoms of aging. Several Isagenix products, such as Isagenix Essential Multivitamins, are loaded with essential vitamins and minerals proven to boost the immune system with daily consumption. In addition to helping to prevent colds, the flu, and other viruses, they’re also created to improve bone density in women and prostate health in men. Much of the stress we experience is a direct result of unhealthy personal habits and the buildup of toxins in our bodies. Since nutritional cleansing reduces both of these, many Isagenix customers experience incredible reductions in both their physical and mental stress levels. Best of all, due to the use of natural ingredients and the removal of damaging toxins, nutritional cleansing with Isagenix is much more sustainable than other methods of stress relief. When detoxifying your body and nutritional cleansing with Isagenix, you will experience some negative side effects. However, the detox process and the negative side effects it causes vary from person to person depending on how many toxins must be flushed out of the body. The more built-up toxins you have in your body, the more negative side effects you will experience. That being said, the most noticeable side effects of cleansing with Isagenix usually only last for a few days, while the positive side effects can last a lifetime. Are improved health and a better quality of life worth a few days of withdrawal symptoms? Thousands of happy and healthy Isagenix customers definitely think so! 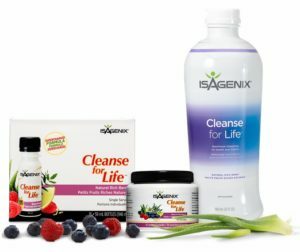 In order to successfully complete an Isagenix cleanse, you will need to abstain from caffeine, sugar, alcohol, and other unhealthy substances. Unfortunately, if your body has developed a dependence on these substances, which it likely has, you may experience withdrawal symptoms when they are removed from your diet. Headaches and body aches are the most common of these symptoms, but as mentioned before, they usually only last for a few days, and the results are definitely worth it. Nutritional cleansing with Isagenix will also involve a substantial reduction in your daily caloric intake. As a result, many Isagenix customers report feeling fatigued. The good news is, feelings of fatigue and lethargy should only last for a day or two, and you will actually begin noticing a boost in energy when after the cleansing process. Your nervous system becomes naturally dependent on the chemicals found in health products and processed foods over time. Isagenix nutritional cleanses force you to break these dependencies, often resulting in a lack of focus and a sense of mental cloudiness. While this may seem like a deterrent, the mental fog associated with cleansing typically only last for two to three days. Isagenix Shakes are loaded with protein, which helps build strong muscles, increase tissue growth, boost metabolism, and improve the immune system. However, too much protein can also cause diarrhea and other gastrointestinal issues. Protein overload can also place added strain on your kidneys, but given the recommended water intake and additional nutrients of an Isagenix diet, it’s perfectly safe for anyone without underlying kidney issues. To learn more about commons side effects from Isagenix products click here. Hydration is critical for proper detoxification and your overall health. Depending on your current weight, you should drink 3-5 liters of water per day. If you fail to hydrate properly, the negative side effects of nutritional cleansing may become more pronounced. If you find yourself experiencing any of the negative side effects discussed above, certain Isagenix products, such as IsaFlush, IsaDelights, and eShots, can definitely help minimize the symptoms. These products and others are packed full of safe yet powerful antioxidants, vitamins, and minerals are proven to boost energy, curb hunger, improve digestion, and more. From increased energy and stress relief to healthy aging and weight loss, the positive side effects of Isagenix certainly outweigh the negatives. But, rather than take our word for it, why not see for yourself! With the 30 day Money back guarantee on our products you have nothing to lose, well expect those unwanted pounds. Try Isagenix’s range of groundbreaking products and begin experiencing the many benefits of nutritional cleansing today! 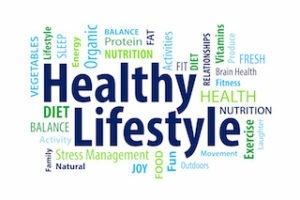 Blog, Health Benefits Isagenix, Side Effects, Weight loss.